Respectable and unruly at the same time, Malasaña is an historic neighborhood with a unique character and a provocative past. Locals fought and lost against French troops in 1808,Spainfound its modern Renaissance in the rebellious rock of the 70s and 80s, and still today the streets manage a well-worn charm. By day you see children playing in the squares and a thriving local community living out its life, but by night, people come from all overMadridto eat, drink and rock on in Malasaña’s alternative bars and cafes. A proud neighborhood full of life and history, Malasaña’s biggest attractions are its squares, like the Plaza del Dos de Mayo (the heart of the neighborhood) and its architecture, best exemplified in the old institutional buildings scattered throughout the area or the Conde Duque Barracks, now a large cultural center. The Malasaña neighborhood is a culinary gem with its mix of cheap, trendy and traditional restaurants and cafes. It seems almost everyone’s tastes can be catered for here. So scratch beneath the surface and you’ll probably find what you came looking for. 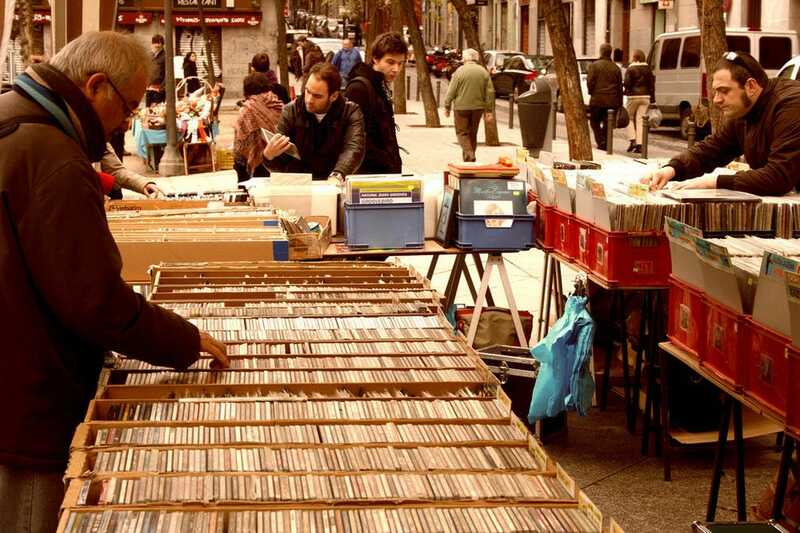 Characteristically young, vibrant and a little angsty, the Malasaña neighborhood has been a popular nightlife spot for students, twentysomethings and alternative folk since the 1970s. Here people flock to the hip and cheap rock bars and cafes, or to the more fashionable places that are cropping up here every year. Malasaña’s bohemian atmosphere is quite evident in its jumble of alternative and fashionable shops within its borders. Here everything from punk patches to elegant sheath dresses are for sale. For the biggest concentration of shops, however, head to Fuencarral Street, a hip shopping avenue that runs between Malasaña and Chueca.